Day 1. Arrival at Istanbul and transfer to the historical Topkapi Palace. (On Tuesdays Topkapi Palace is closed so if you come on a Tuesday we will replace it with St. Sophia) Topkapi Palace was the main residence of the Ottoman Sultans from 15th to 19th century. In this interesting palace I will make sure that you will see all of the impressive collection of priceless jewels, crystal, silver and porcelain, robes worn by the sultans, and the Harem section where the women of the Sultans lived. After visiting Topkapi we will proceed to Yerebatan which is a hidden underground Byzantine cistern. Our next stop will be the Grand Bazaar. Staying overnight in Istanbul. Day 2. Visit the ancient Hippodrome, famous for the Obelisk of Theodosius, Snake pillar and the German Fountain of Wilhelm II. This was the place where horse races took place during the ancient Roman times. Here we will also see the Blue Mosque, built for Sultan Ahmet I. It is a unique piece of architecture with its six minarets and features 20,000 beautiful Iznik tiles. After these visits we will get back to the minivan and drive to the exotic and aromatic Spice Market. You may buy spices, fruits and nuts and almost anything imaginable. The Bosphorus cruise towards the Black Sea begins at 10:35. During the cruise we will pass by marble palaces such as Dolmabahce, Ciragan and Beylerbeyi and you will enjoy zigzagging from continent to continent, travelling along Bosphorus, lined with old Ottoman seaside mansions, fortresses and small fishing villages. We will disembark at Sariyer close to the Black Sea and drive to St. Sophia, masterpiece of the Byzantine art. 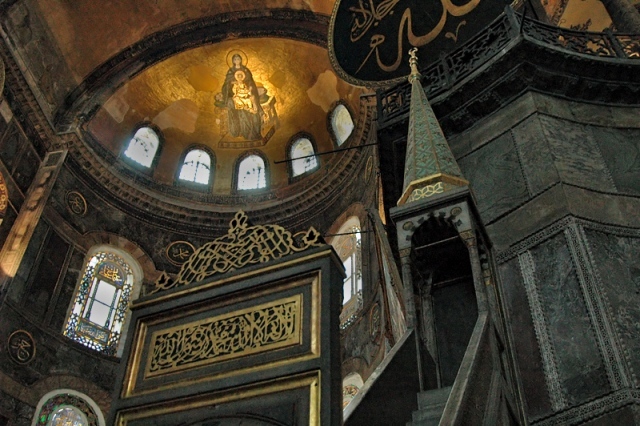 St. Sophia was built by the Emperor Justinian and it was the largest building in the world for over 1000 years. We will see its intricate mosaics and its huge central dome. Our next visit will be to Suleymaniye Mosque which is the largest mosque in the city. Suleymaniye is considered to be one of the masterpieces of architect Sinan, who was the Michelangelo of Ottomans. Here we will also visit the holy tombs of Sultan Soliman and his famous Ukrainian wife, Roxelane. Staying overnight in Istanbul. Day 3. Early departure for Ankara, 460 km away. After a comfortable motorway drive we will reach Ankara and will visit the Mausoleum of Ataturk who was the national father of Turks. After this visit we will proceed to Anatolian Civilizations Museum located in an ancient Caravan inn from the 15th century. Here we will learn about different peoples who lived in this land called Anatolia. We’ll talk about the history and archaeology of Turkey. After these visits we will start driving towards Cappadocia and we will reach this fairy land in the evening. Upon our arrival to Uchisar we will be welcomed with delicious local wines and fruit cocktails at my hotel. I am sure you will enjoy contemplating the beautiful panorama from the terrace while drinking your wine. Day 4. 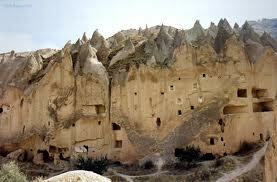 We will start visiting Cappadocia at the old village of Sinassos. Meet local people there who used to live in Macedonia before 1923 migration. Here is the best way to understand the culture of the area. Here we will visit the Church of St. Vasilios and take a walk in Gomeda Valley. Later on we will continue towards Damsa which is a local water dam and arrive to Cemil village where we will see an old Cathedral dating from 1914. Keslik Monastery located in the rocks will be our next stop. This old abandoned Monastery was once inhabited by Monks whose aim was to spread Christianity all over the pagan world. This was not an easy task, especially in those times, when many people were still illiterate. So those Christian missionaries decorated the interior part of the cave churches with beautiful frescoes depicting stories from the Bible. Inviting, persuading and teaching people Christianity by means of the pictures rather than by means of the complicated texts of the Bible was much easier. This is why you will see so many churches dug into rocks with beautiful frescoes in this amazing region. Soganli Valley (Valley of Onions) is another Valley where Christian Monks used to live. Here we will drive off road to reach an old Christian Church at the end of a dirt road. This church, located at no man’s land, is named after St. Barbara and inside it is decorated again with beautiful frescoes showing important personalities and events of Christianity. After we leave here we will see the underground city of Mazi. Then we will drive to Kizilvadi (Rose Valley) and will walk down to explore this fabulous land to discover a huge church in the rock on one side of the valley. This is how those monks used to worship. Always hiding themselves in the rocks from their enemies. On our way back we will watch a sunset from this amazing high view point. Overnight in Cappadocia. Day 5. Today is the day we will see the most interesting areas in Cappadocia. Pasabag, Zelve Valley, Goreme Valley and the most beautiful rock dug churches of the area. Among those beautiful churches we will see Apple Church, Snake Church, Church With Sandals, Buckle Church, mentioning a few. Today we will also see Kizilirmak (Red River) in Avanos and pass across this largest and longest river of Turkey walking on a suspended pedestrian bridge. In Avanos we will also have the opportunity to see the Sarihan Caravan inn which was built in the 13th of century at the time of the Seljukian Empire. After these visits we will relax a bit at Bayramhaci hot springs before we proceed towards Istanbul. On our way we will come across the holy Monastery of Haci Bektas who was a philosopher and poet in Medieval ages. In this ancient Monastery among many other wonderful objects we will also see the “keskul” (beggar’s cup) used by future dervishes who had to beg for food from people in order to struggle against their pride. Pazarci masasi, nefir, teber, mutekka are some of the other instruments used by dervishes and I will explain you one by one what those are. This will allow you to understand better the cultural aspects of Turkey. We will stay overnight at Bolu which is some 4 hours drive from the airport. Day 6. Today we will drive back to Istanbul. 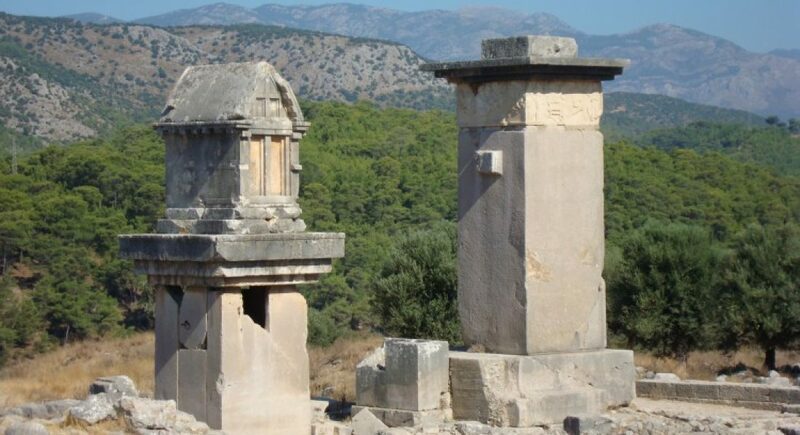 As we will reach a remote suburban area of the city I will take you to a very interesting place and show you the tomb of the great Carthagenian commander Hannibal who had committed suicide here. Proceed to Istanbul Ataturk International Airport across the Bosphorus bridge and it is the end of my services.